Freeport, Bahamas - The 34 annual Humane Society of Grand Bahama (HSGB) Dog Show will take place on Saturday, March 2 from 12:30 to 4:30 pm at the Humane Society Grounds on Coral Road. Some of the categories have been changed and they have combined a few. There will be fun stuff for kids, including face painting and cotton candy. $10 dog entry. Don't have a dog to enter? The HSGB will help you choose a shelter dog to enter. 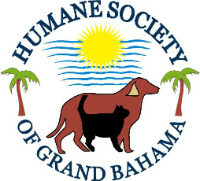 Support the Humane Society of Grand Bahama.